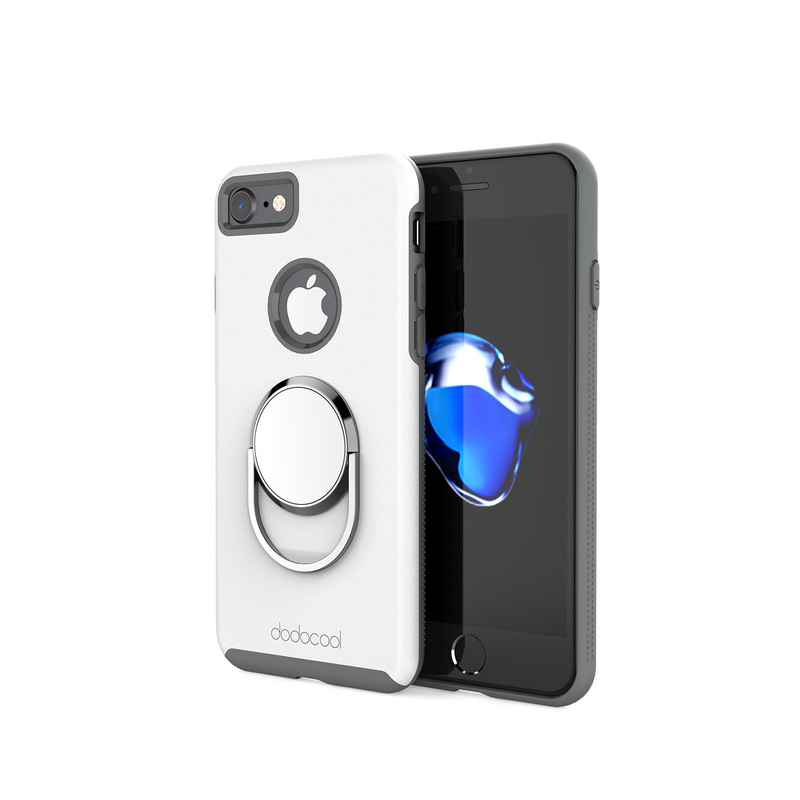 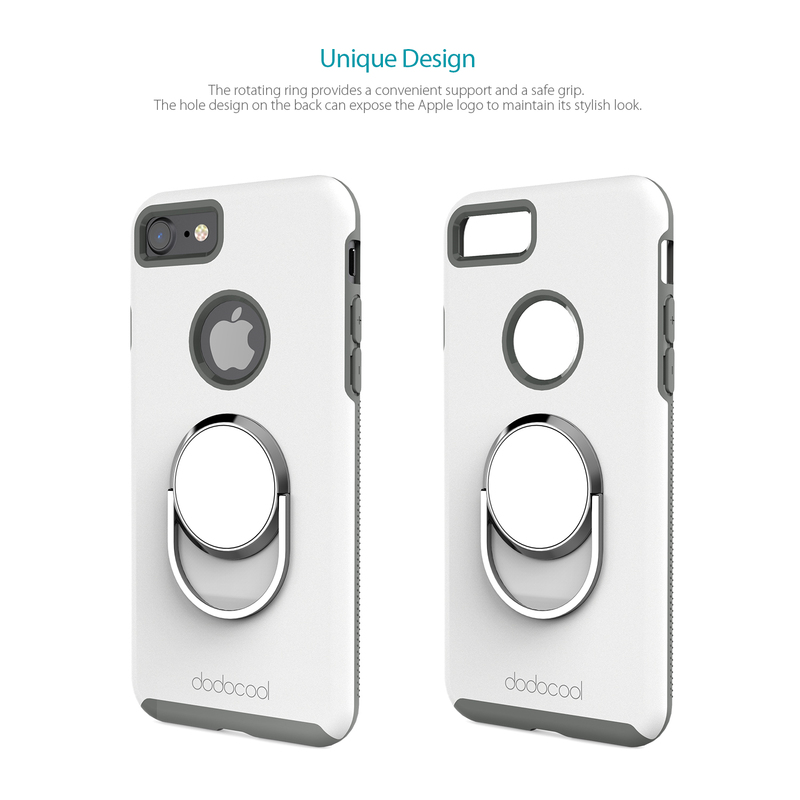 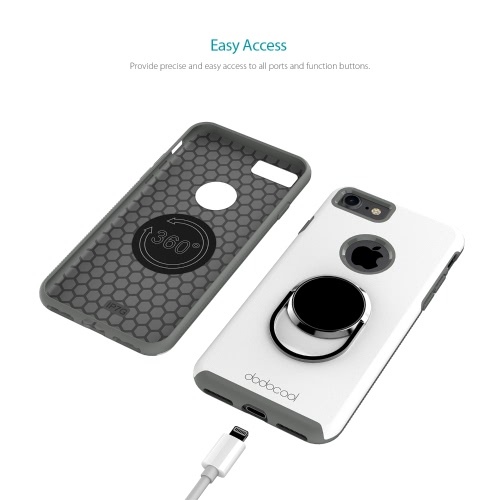 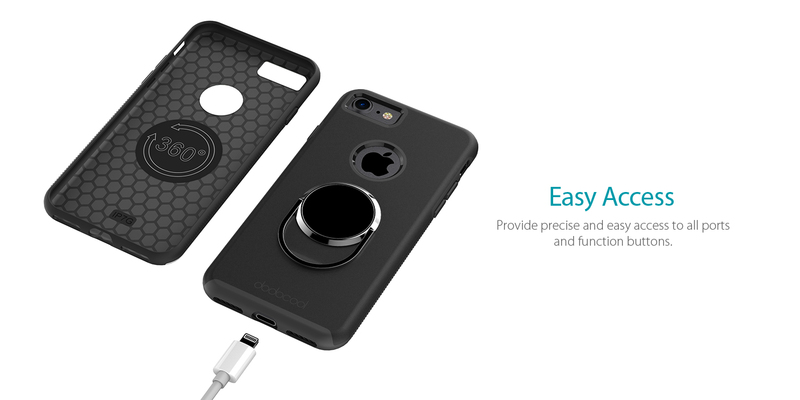 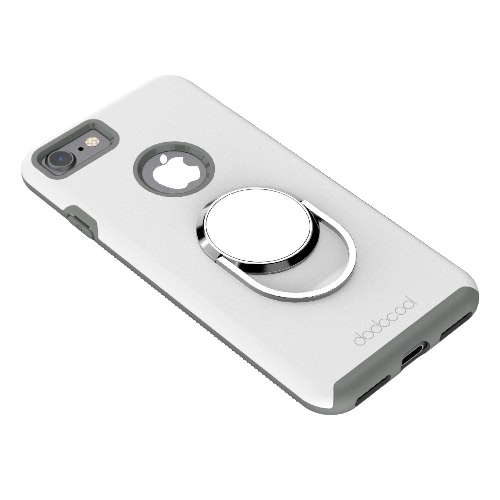 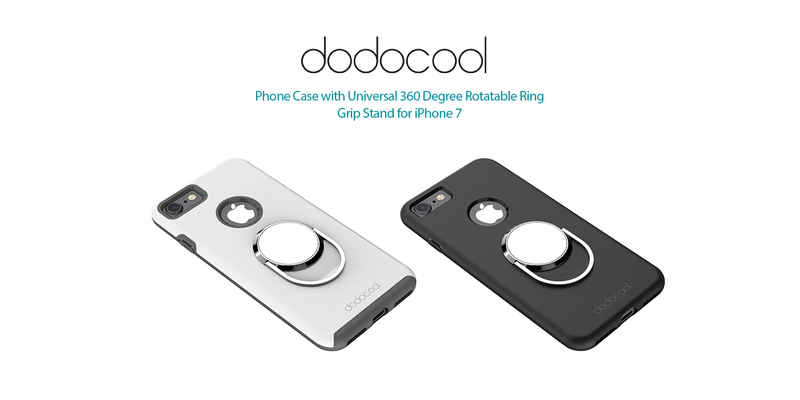 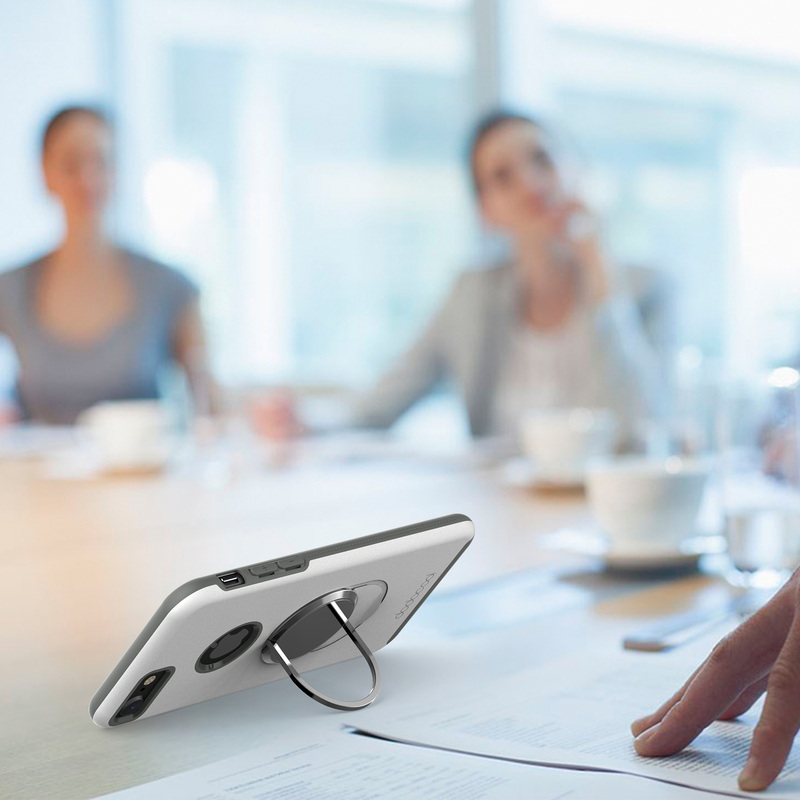 dodocool Phone Case with Ring Stand for iPhone 7 protects the back and corners of your iPhone 7 from scratches and withstands impact force while allowing full access for all ports and functions. 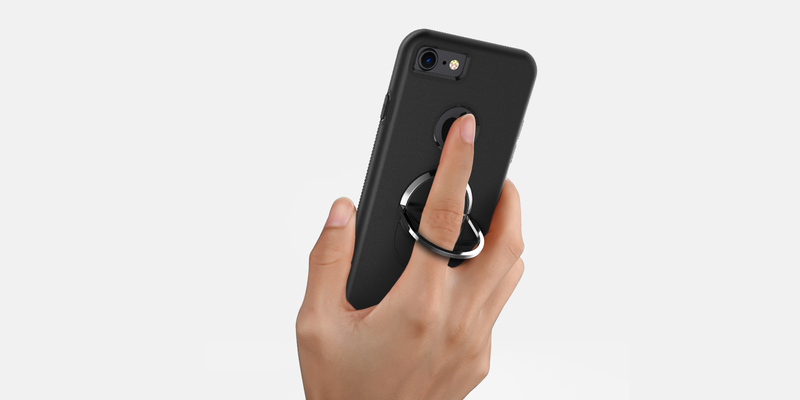 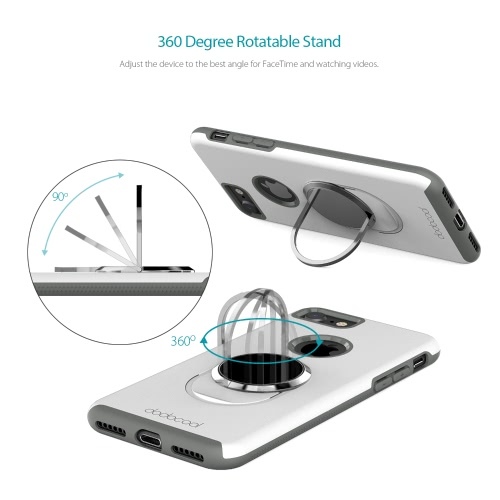 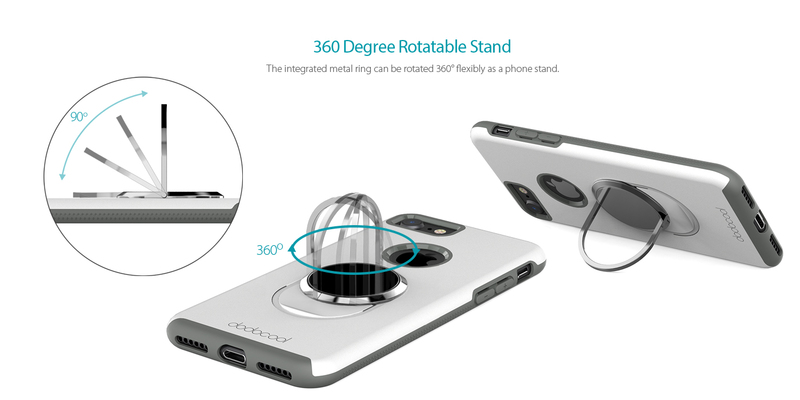 An integrated collapsible and 360° rotatable metal ring enables you to adjust your device to the best viewing angle flexibly or grip the phone for added protection. 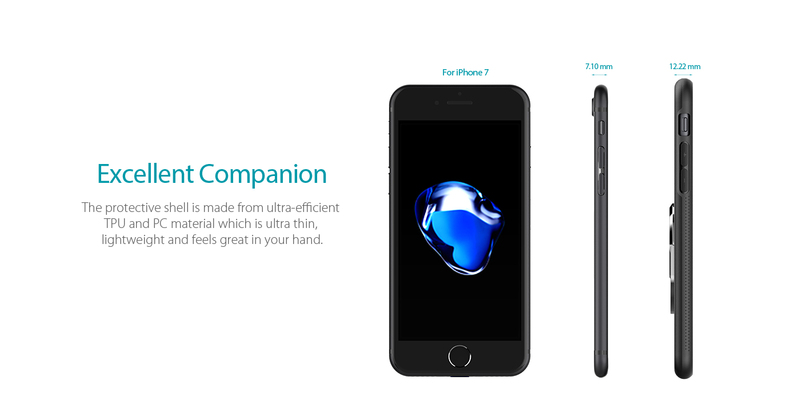 With premium material, it feels great in your hand. 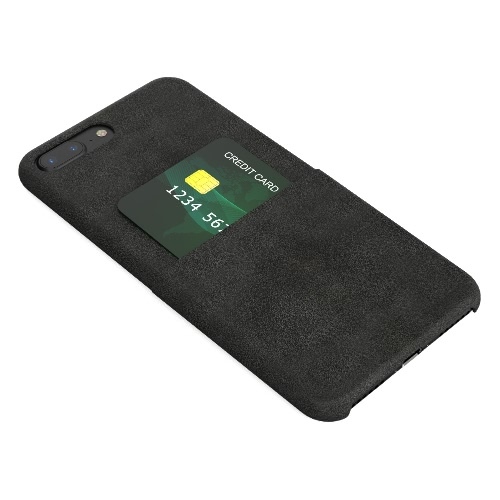 The slim one-piece design snugly fits and protects your 4.7-inch iPhone 7 while the rotating ring provides a convenient support and a safe grip. The hole design on the back can expose the Apple logo to maintain its stylish look. 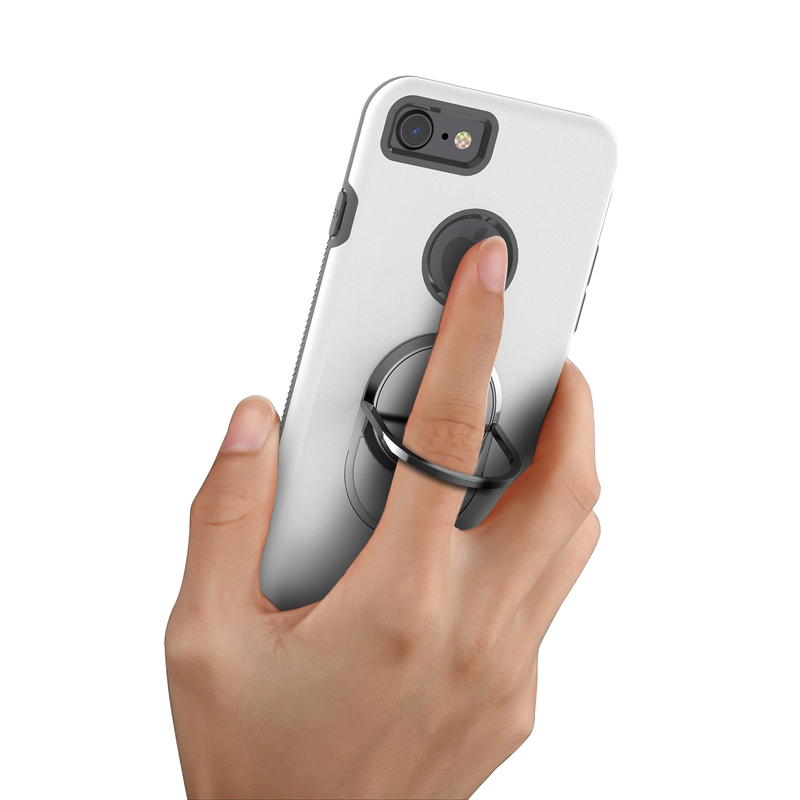 The integrated metal ring can be rotated 360° flexibly as a phone stand, which enables you to adjust the device to the best angle for FaceTime and watching videos. 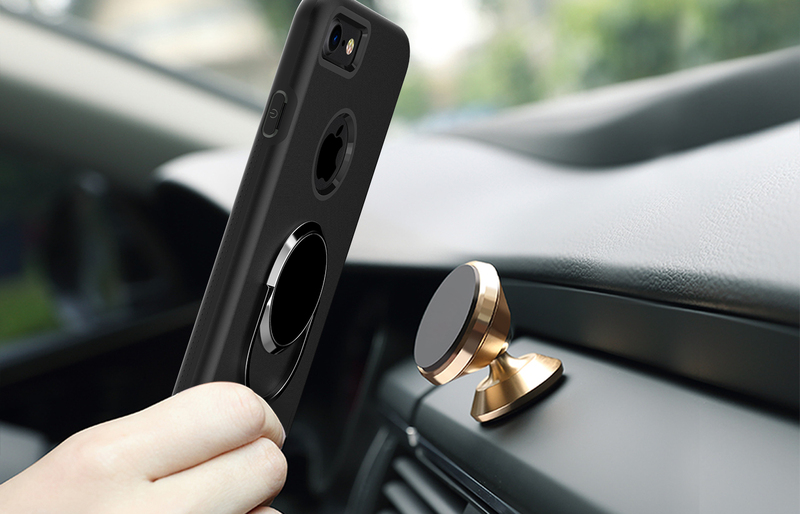 The metal part on the back can be attached to a magnetic car cradle stand and used as an In-car phone holder stand, ensuring your driving safety. 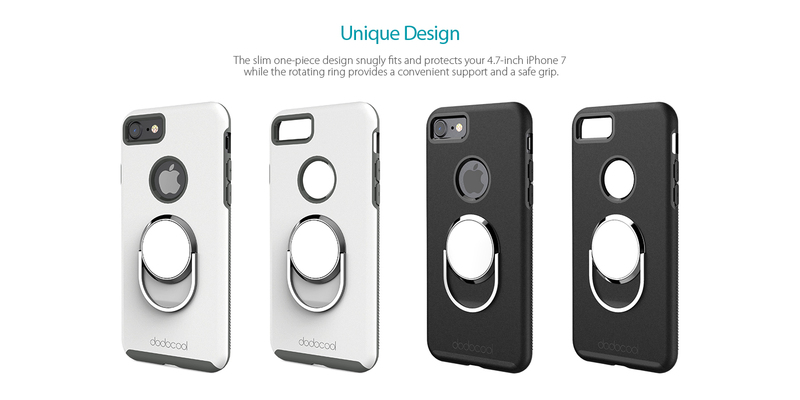 Fit snugly over Volume buttons and the Sleep/Wake button. 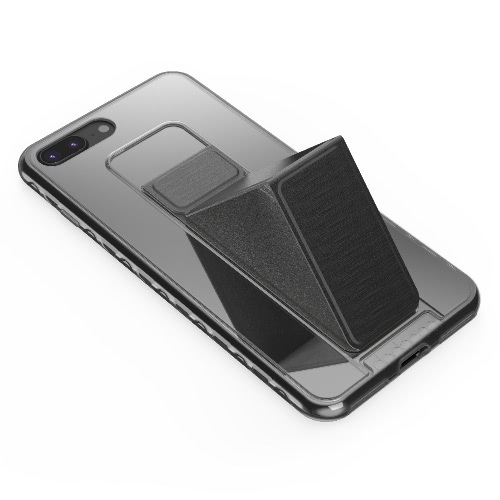 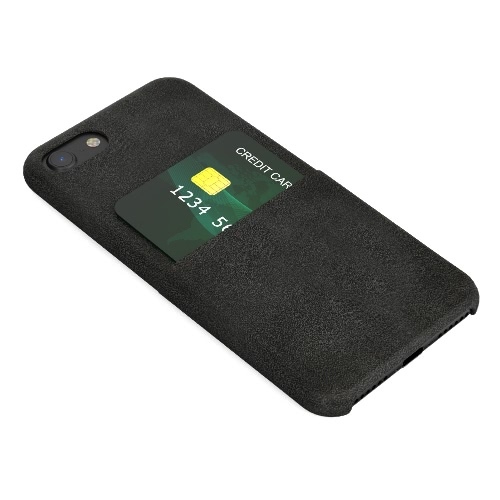 Encase the corners and back of your iPhone to provide a secure fit. 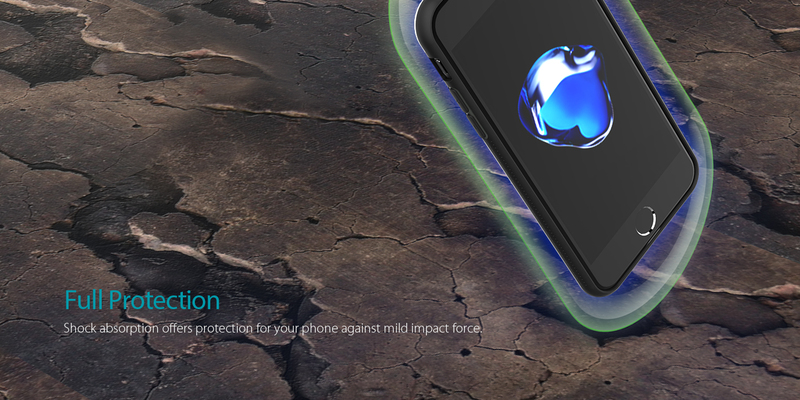 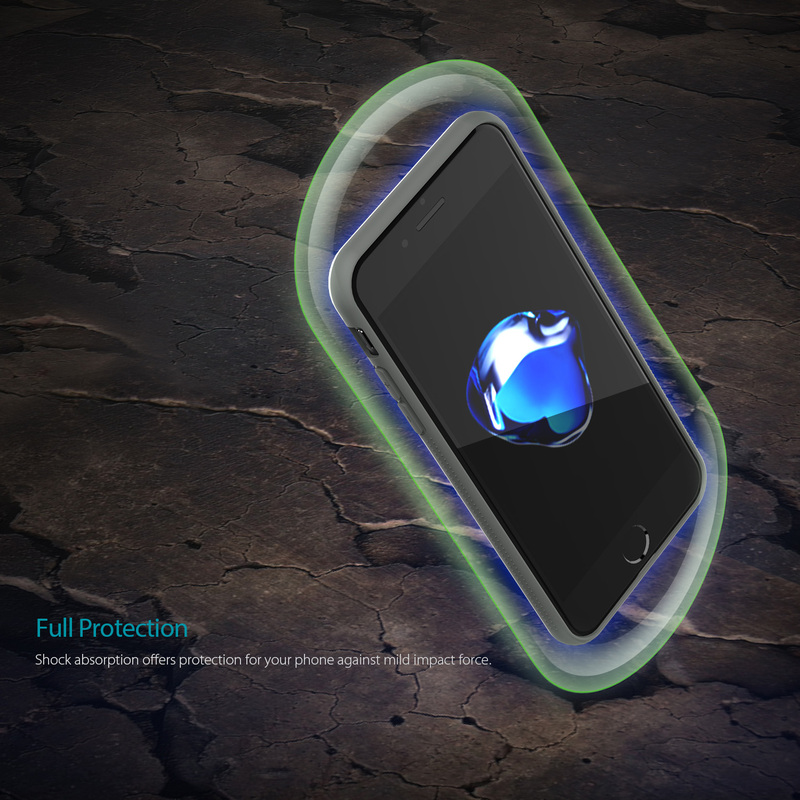 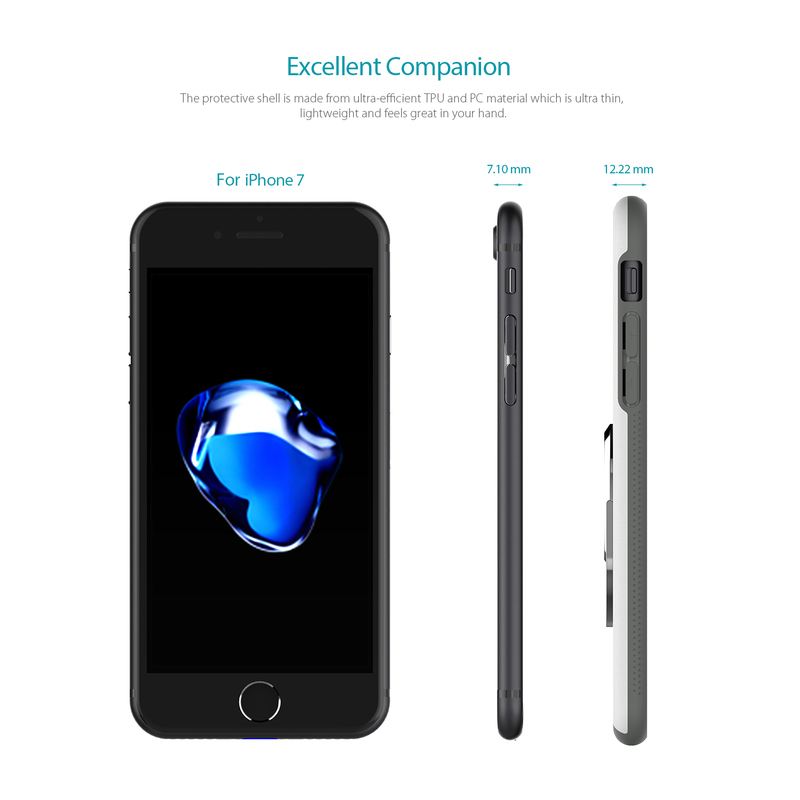 Shock absorption offers protection for your phone against mild impact force. 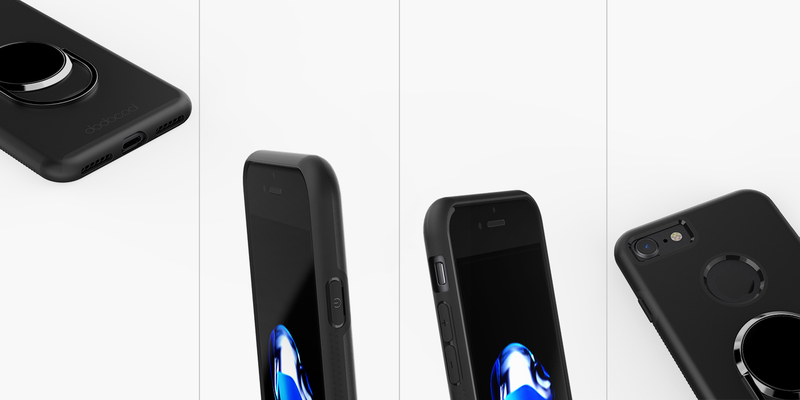 Precisely manufactured for an exact fit. 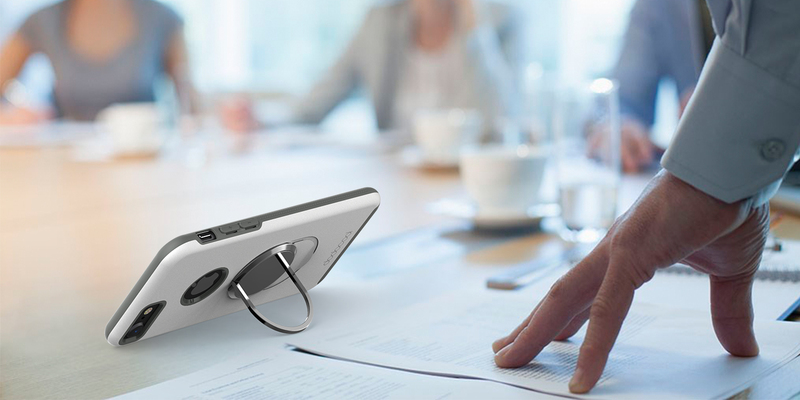 Provide precise and easy access to all ports and function buttons. 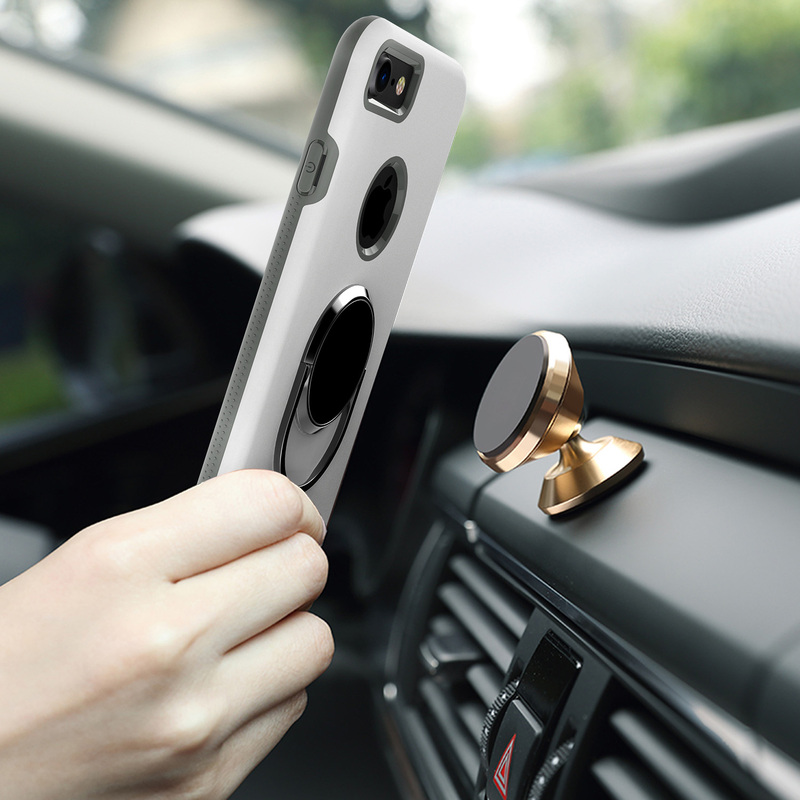 Easy to install and remove without scratching.